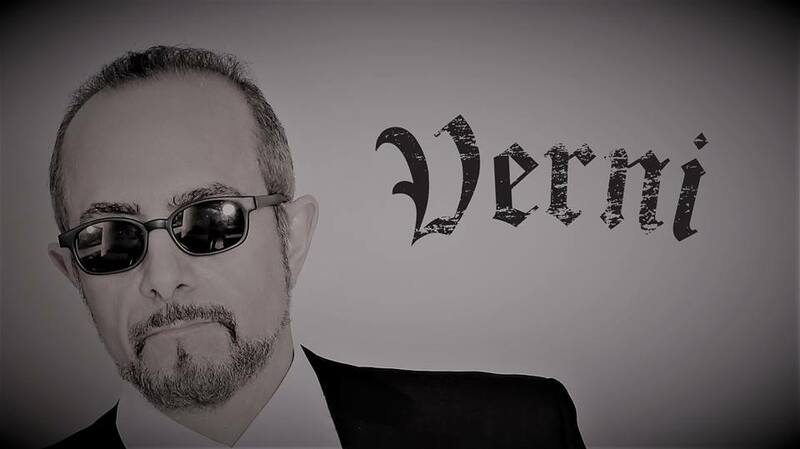 DD Verni’s career in metal dates back to the early 1980s. As the bassist for Overkill, Verni is one of only two members to have written and performed on all 18 of the legendary New Jersey metallers’ albums. 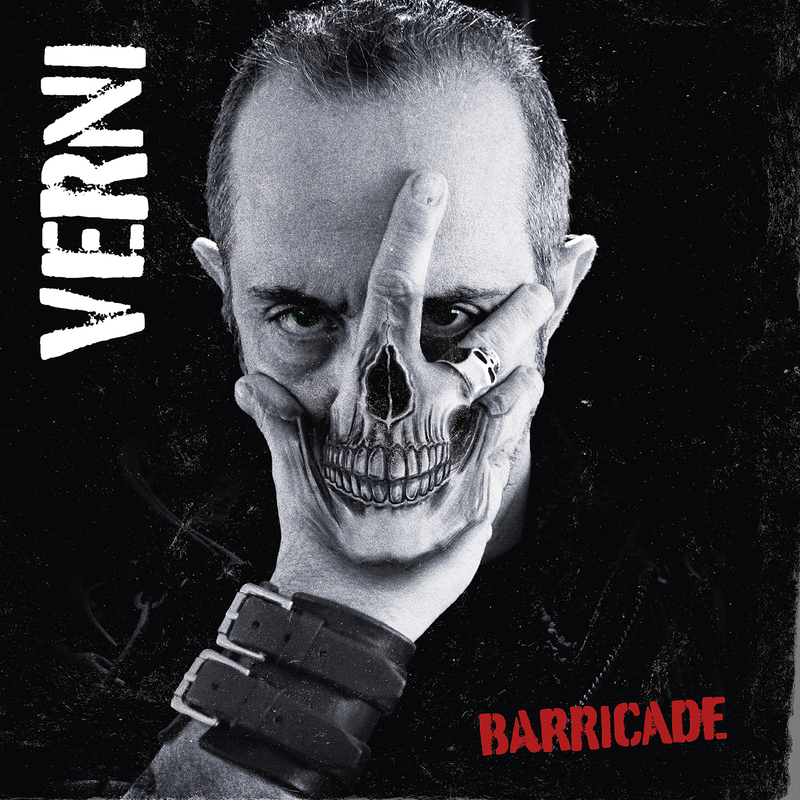 On October 12, 2018, the Mighty Music record label will release Barricade, the first solo album from DD Verni. Barricade certainly is not a thrash re-hash, though fans of the musician’s full-time and part-time projects will find ample head-banging worthiness. Several guitarists from the metal scene contribute solos and guest spots on Barricade, creating a fine mix of metal, hard rock, punk, some blues and even a sing-a-long, pub-style anthem. 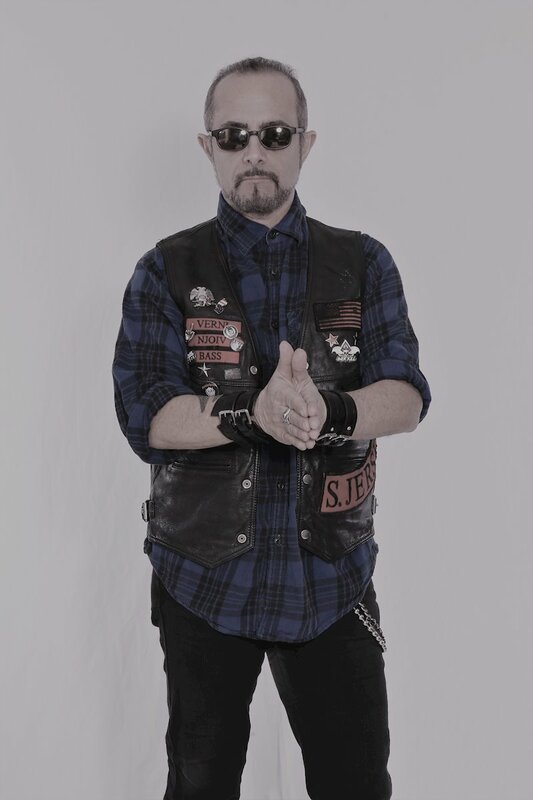 Musicinterviewmagazine.com spoke to DD Verni about the making of Barricade; the collaborative process, Overkill’s upcoming 19th studio collection and all-things metal. What inspired you to release Barricade as a solo outing, as opposed to The Bronx Casket Co., the side project where you also are lead vocalist? I am always writing and trying new songs and ideas and other stuff that is not necessarily for Overkill. Sometimes I’m not sure what it will be, but I like the song and the vibe. So, I write the songs and when they kind of pile up, I try to see what they will be like. This time it was a solo record. I think for anyone who listens to the record [Barricade] and is familiar with my bands, it’s pretty obvious. Bronx Casket Co. has a lot of doom and gloom and Overkill is all about thrash and energy and power. The new songs have a lot of rock in them and some other elements and it became clear they were not for either of the other two bands. What was the recording process like? Did you use a live band with guest guitarists, or were the guest parts remotely recorded? How did that ultimately influence the final product? I had demoed all the songs first here at my studio. Then, I sent the tracks to former Overkill drummer, Ron Lipnicki. I have done a bunch of records with Ron. He is easy to work with and a great drummer. But then, rather than doing all the guitars, I decided to bring in some people whose work I loved. So, I called Andre “Virus” Karkos. I love his playing on the Dope records and asked if he would be into doing the rhythm guitars. Andre also does a solo, where he kills it. For the other solos, I just asked the guys if they would be into the idea and one by one, they all were. I sent out tracks showing where the solo section was and then just let everyone have a go at it. I’m grateful to all the guys, because they did amazing stuff, plus it was fun to do. You work with a lot of fantastic guitarists on this album and one who immediately catches our attention is Michael Romeo, from prog-metal heavyweights Symphony X. How did you establish which track he was going to play on? What was your reaction to his contribution? I have known Mike forever and he is a good friend. Mike played on a bunch of Bronx Casket Co. records and has done some orchestrations on stuff. He’s just really good at what he does, not just playing guitar, which he’s great at, but his instincts are always right on. Anything I have ever worked on with him, when I get it back, I am always blown away. What is your favorite song from Barricade? Maybe “Miracle Drug,” because it has all the elements of stuff I love, including a little punk, metal, rock and a big catchy chorus. Plus it’s about coming off the road to be with my family, so the lyrics were fun, too. What is your songwriting method? Do you always write with a bassline in mind? Does the approach change depending on the band, players, or album? I don’t think my approach changes very much. If I know I am going to be singing, then the tunings change from Overkill. But otherwise I am just writing what I think sounds cool. It could be any type of thing. If I’m digging it, I kind of keep going and try to make it the best it can be and then put it aside. I would not want to be in the band that follows Havok, but Overkill did during the 2017 Metal Alliance Tour. What is your mindset when you take the stage after a band whips the crowd into a frenzy? Anytime we have an appearance, even at a festival, where there are a number of bands, it’s great for the fans when everyone’s show is great. So long as we are able to do our thing, I hope everyone gets up there and kills it. 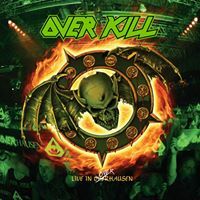 What can fans expect from the forthcoming Overkill album? How can you top an album as hard-hitting as 2017’s The Grinding Wheel? We’re working on new Overkill right now and mixing in September. We’re pretty busy and psyched because it’s coming along really well. As one of metal’s mainstays, how much of a duty do you feel to keep producing new music? I write and create because it’s fun and challenging. If there came a point that it wasn’t, I would just move on to something that was, whatever that would be. But to do it out of duty would be like having a job and that’s not fun. A personal favorite, Overkill’s “Pound of Flesh” is a relentlessly fast and heavy thrasher. According to setlist.fm, the song has never been played live for an audience. Would Overkill ever perform “Pound of Flesh” live? Perhaps next time the band is in New York? Ha! I’m glad you like the song, but I can’t see pulling that one up to put in the set. But hey, you never know. More and more we kind of go back into the catalog and dig stuff up that we think could be fun.